Nearly two years after his Marvel Studios blockbuster Avengers: Age of Ultron hit theaters, filmmaker Joss Whedon is jumping ship to Warner Bros. and DC Films. The director is close to finalizing a deal to write, direct and produce a standalone Batgirl movie, which will be part of the studio's DC Extended Universe (DCEU). This new project is said to have originated over the past month, but there hasn't been any indication regarding where this movie may fit on the studio's DCEU slate over the next few years. Variety broke the news on this project, which doesn't have any other producers lined up as of yet, but the project will be overseen by DC Films presidents Geoff Johns and Jon Berg, along with Warner Bros. Picture Group president and chief content officer Toby Emmerich. This will mark the first time that Batgirl has ever gotten her own stand alone movie, with this report also claiming that it features other characters "from the world of Gotham." Those characters may include Ben Affleck's Batman, Jared Leto's Joker or perhaps even the Gotham City Sirens characters, although no specific characters were mentioned. It isn't known if this project will be developed in conjunction with Gotham City Sirens, which is believed to included Batgirl, Brids of Prey and Poison Ivy, along with Suicide Squad star Margot Robbie reprising her role as Harley Quinn. Since that project is much farther along in development, with Geneva Robertson-Dworet (Tomb Raider) writing the script and Suicide Squad director David Ayer taking the helm, it's possible that Gotham City Sirens could introduce Batgirl, before Joss Whedon digs deeper into the character with this stand-alone movie. That hasn't been confirmed, but since both projects appear to be connected to the DCEU universe, it seems conceivable. Related: Should Lena Dunham Direct Batgirl? The first iteration of Batgirl, a.k.a. Betty Kane, was created by Bill Finger and Sheldon Moldoff in 1961, although the Barbara Gordon version of the character that debuted in 1967 comic Detective Comics #359 became the most iconic version of Batgirl. This beloved character, the daughter of Commissioner James Gordon, was previously portrayed by Yvonne Craig in the original Batman TV series, and later by Alicia Silverstone in the 1997 film Batman & Robin, although that character was Barbara Wilson, the niece of Alfred Pennyworth. Most recently, Rosario Dawson lent her voice to Batgirl in the animated hit The LEGO Batman Movie which debuted in theaters last month. It's possible that Justice League star J.K. Simmons could also be brought in for this movie as Commissioner Gordon, but it's too early to tell right now. Joss Whedon hasn't directed a movie since his Marvel Studios blockbuster Avengers: Age of Ultron in the summer of 2015, but last year the filmmaker revealed that he's writing a World War II zombie movie, with the filmmaker revealing in an interview that it's much darker than anything he's done in the past. It isn't known if he has finished the script yet, but that will likely be put on the back burner for Batgirl. Birds of Prey Movie Will Stay Focused on Harley Quinn and Batgirl? 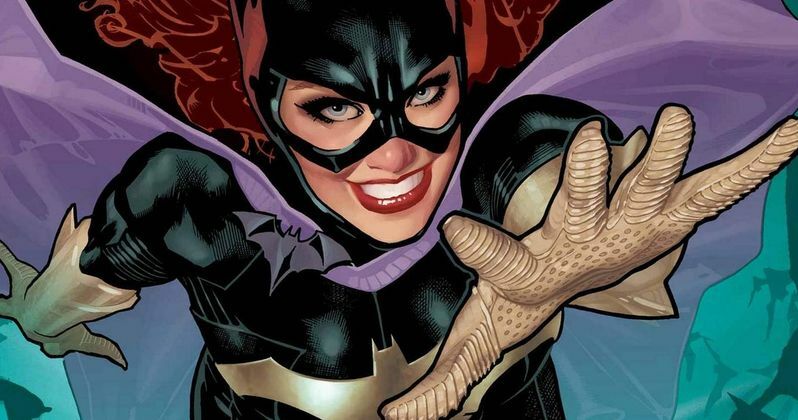 Batgirl Movie Goes Searching for a Female Director?